Ever since David Beckham made his first switch from Europe to the MLS in 2007, a whole host of other stars have also followed suit including Brazilian Kaka, Italian legend Andrea Pirlo, Germany midfield powerhouse Bastian Schweinsteiger, Frenchman Thierry Henry and Englishmen Steven Gerard and Frank Lampard among others. The Trend continues as rumour mills continue to link Europe’s top stars with moves to the MLS. Below are some of the players rumoured to be seeking a move to the MLS or interesting some MLS teams, for those who like placing bets on potential transfers, PayPal casino offers some great odds. Zlatan has had a stellar career in most of Europe’s top leagues including Italy, France,and England. After suffering a serious knee injury towards the end of last season, Zlatan was linkedwith a possible move to the MLS. However, he opted to stay at Manchester United for another year but even after recovering to full fitness, he has been restricted to the bench. Manchester United are reportedly on the verge of signing another forward in Alexis Sanchez and if that goes through then Zlatan’s future at the club will be uncertain. 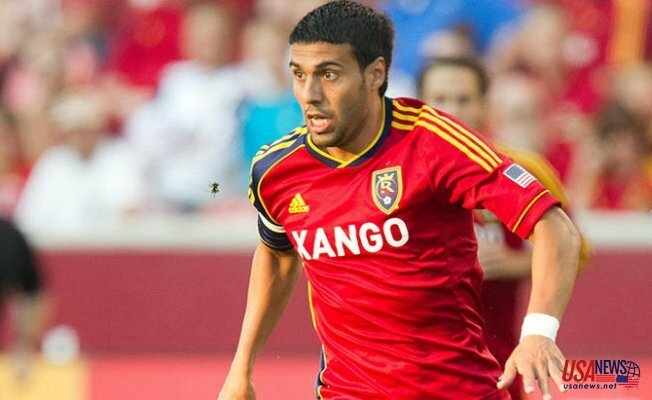 He has previously expressed adesire to play in the MLS and there is no doubt he will find potential suitors if he decides to move to the MLS. Mexican Javier Hernandez joined West Ham at the start of the current season in the English Premier League after enjoying success at the Bayer Leverkusen last season. He was expected to be the spark in West Ham’s team this season but that has not been the case. Instead, his stock has been overshadowed by that of Marko Arnautovic, another summer signing. West Ham has already stated they are looking for bids for Hernandez and if the right offer comes, he may be on his way out. His goal scoringexploits at both Bayer Leverkusen and Manchester United will certainly entice many MLS teams if he decides to make the switch across the Atlantic Ocean. Hatem Ben Arfa is undoubtedly one of the most skillful players in the world right now. However, personal problems have hampered his progress in the past but it seems he is on the right track now. Ben Arfa moved to Nice from Newcastle after producing some underwhelming performances. The switch turned out to be a blessing for the Frenchman, as he quickly became a household name in the French league. His impressive performances made him a target for Europe’s top teams before he eventually agreed to sign for the French giants, PSG. At PSG, he again lost his mojo and is a peripheral figure who only features in Cup matches. Still 30, Ben Arfa is young enough to play for four or five more seasons at the top level and there are a lot of suitors in the MLS if he decides to move abroad.